Lucasfilm recently released a carefully engineered trailer to tease Star Wars fans, featuring lightsabers, spaceship dogfights, Darth Vader’s charred helmet and an appearance by Harrison Ford, who is reprising his Han Solo role from the original Star Wars movies. The new movie will take place after the events of 1983’s The Return of the Jedi, in which Luke Skywalker defeated Darth Vader in a lightsaber duel and the new Death Star was blown to smithereens by the Rebel Alliance. 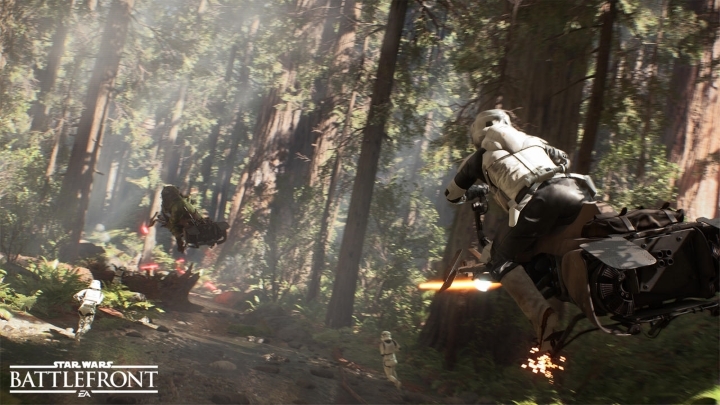 And this new The Force Awakens trailer was revealed during the Star Wars Celebration in Anaheim, California, during which the upcoming video game Star Wars: Battlefront was also shown to eager Star Wars fans. Unlike J.J. Abrams movie, however, Star Wars: Battlefront takes place during the events of the original trilogy of movies, but there is one event that links the video game and the movie: the battle of Jakku. 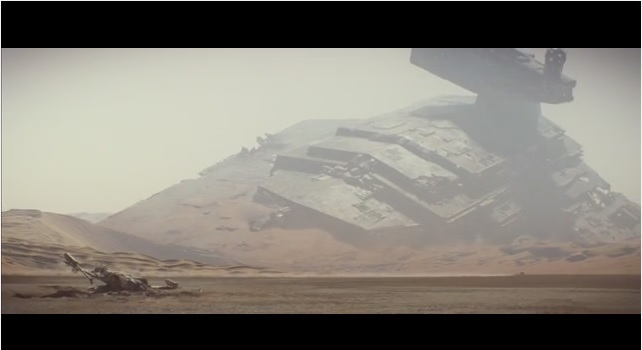 A huge battle between the Rebel Alliance and the Empire took place on this desert planet, and evidence of it is seen early in the trailer for the new Star Wars movie, which shows the remnants of a crashed Star Destroyer in one of Jakku’s deserts. The Force Awakens movie will surely feature plenty of epic battles. And developer DICE has announced that those who purchase Star Wars: Battlefront will receive a free DLC titled ‘Battle of Jakku’. This DLC will be released between the game’s release date (on November 17, 2015) and the movie’s debut on December 18. This is certainly an opportunity for DICE to tie the game to the new Star Wars movie, and let the game benefit from the massive hype surrounding J.J. Abrams upcoming movie. But it is not that the movie needs much in the way of promotion, after all, the Star Wars series is one of the best known movie series in American cinema, and it is clear that a new Star Wars movie would succeed even if it hit the theatres without any fanfare. But this is not the case for DICE’s upcoming Star Wars game. After all, it will be a multiplayer-only game like Titanfall, so offering a free DLC that links the game to a movie that’s likely to be massively popular could make up for the lack of a single player campaign to a certain extent. Also, while the gameplay footage that DICE showed at the Star Wars convention was certainly spectacular, the game Star Wars fans saw was probably running on a high-end PC, so it remains to be seen who good the game looks on consoles. In the end though, the lack of a single-player campaign might not hurt the game’s sales one bit. Games like the multiplayer-only Titanfall managed to be a success without a single player campaign, and other games like Destiny were top-sellers despite the fact that their solo modes left a lot to be desired. But come this fall people’s appetites for all things Star Wars will be at an all-time high, given that the new Star Wars film will be hitting the theatres and gamers are likely to pick up anything with the words “Star Wars” on the box. 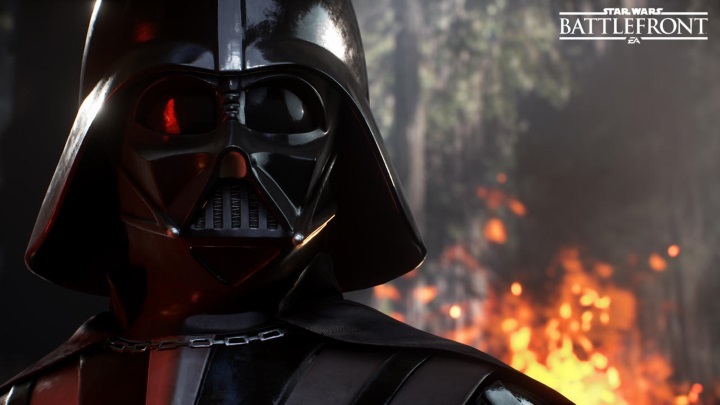 But if developer DICE is able to deliver a really good Star Wars game, then fans of the eponymous movie series will surely be in for a treat.